David Clark is the Innovation Manager & BIM Specialist for the McAvoy Group. 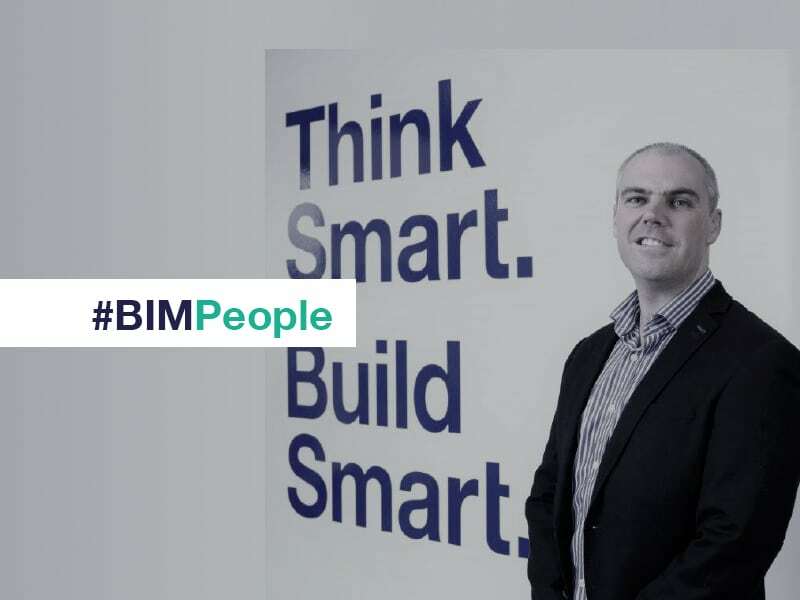 David spoke to BIMIreland.ie about his views and experiences of BIM and Digital Construction, offsite construction, and construction innovation. David has a Bachelor’s Degree in Manufacturing Management and he is currently undertaking a Master’s Degree in BIM and Project Management at Queen’s University, Belfast. Before undertaking his current role he was Design Engineering Manager for the McAvoy Group. David, please tell us about your work as the Innovation Manager & BIM Specialist for the McAvoy Group’s modular and offsite construction divisions? Our vision is to embed innovation across the business and to align this to meeting the strategic needs of our business. The McAvoy Group is committed to improving the efficiency of construction and particularly to applying the latest advances in digital technology to enhance our processes and take engagement with our customers to a new level. In this area, we are leading the construction industry, not just the offsite sector. Can you tell us about how the McAvoy Group has become a BIM Leader? In a fast-paced world of technological change, McAvoy has always strived to stay ahead and embed digital technologies into its processes. With a top down approach, the business leaders mandated the use of BIM back in 2012 and this enabled me to lead the company to achieve its goal of being ready to deliver BIM Level 2 services to our clients ahead of any other offsite specialist. As the construction sector moves towards a need for greater levels of digital information, including data-rich 3D models of buildings, we have ensured that McAvoy is, and will remain, at the forefront of this “digital revolution” in the offsite sector across the UK and Ireland. Can you tell us about the McAvoy Group’s most successful BIM Projects? We believe that McAvoy is the only offsite specialist to be certified to BIM Level 2. This means we host, control and coordinate information in line with current BIM standards. The BIM Level 2 certification process assesses the capability to utilise advanced 3D modelling tools and ensures we have the standards, methods, procedures, skilled staff and infrastructure in place for strict compliance with the Government’s strategy. We have been working with multi-disciplinary BIM models for many years now and for the past 3 years, we have adopted the UK Government Level 2 BIM protocols and standards which have brought significant benefits to our customers. We have successfully delivered a number of BIM projects in the education sector, including the Sythwood Primary School Project, Dantree School Project and West Hill Special School for Surrey County Council in England. Last year we were finalists in the Irish BIM Innovation Awards for the Sythwood project and this year we have been nominated for the Tekla BIM Awards for the West Hill Special School project. Both projects were fully coordinated using BIM models in collaboration with our consultants and supply chain. As the main contractor, we led each project and hosted the information collaboration on our Common Data Environment, Viewpoint. All of these are of course built upon our open BIM platform, and use IFC files for collaborating our multi-disciplinary design team 3D models and BCF files to communicate, validate and resolve the 3D models during the design development stages. Is there a growing demand for BIM by your clients? It is still early days and whilst our commitment to digital innovation and BIM is extremely well received by our customers, take up has also been slower than expected. We are still facing a huge lack of understanding of BIM and its applications and benefits. There are only a small number of construction professionals who fully understand BIM, with the majority still needing to get up-to-speed and appreciate the detail of Level 2 BIM. We have only been contractually required to deliver Level 2 BIM on one project so far, however, we are adopting BIM processes and standards across all our projects to improve construction efficiency even further. What has been the hardest part of the McAvoy Group’s BIM Journey? The learning journey was very challenging. The biggest challenge was to achieve the buy in of our full supply chain. Our in-house design team is very BIM savvy and so adoption internally was straightforward. However, introducing the new processes to external design partners was more challenging. Bringing our external consultants on board and getting them to the same level of knowledge and expertise requires a huge amount of commitment and continual review to ensure that processes are being correctly adhered to. The digital nature of BIM and its processes means that most of the additional project-management functionality is being delivered in the cloud. These cloud-based solutions or Common Data Environments as they are referred to, also require significant time, effort, and commitment to deliver the best possible solution across the diverse range of offsite projects we work on. Choosing and implementing the correct cloud-based solution has taken significantly more resources than we had envisaged at the start of our BIM Journey. It is a constant challenge to keep abreast of the pace of technological change and this requires unprecedented passion and dedication. As part of this process, I am in the final stages of an MSc in BIM and Project management at Queen’s University Belfast. This will bring a new level of expertise to the McAvoy BIM and innovation team. Please tell us about your MSc in BIM and Project Management at Queen’s University Belfast? I have a BSc in Manufacturing Management and I’m currently undertaking part-time study for an MSc in BIM and Project Management. This programme is helping me to develop practical and professional skills in the critical acquisition, analysis, interpretation and understanding of Building Information Modelling in the context of Project Management. This will continue to ensure that we remain at the forefront of digital change in the construction industry. Can you tell us about the McAvoy Group’s in-house BIM training? McAvoy began with holding weekly drop-in BIM information sessions 3 years ago, which allowed our staff to develop a better understanding of BIM and how it can benefit our business and our customers. This has progressively changed over the years to the point that we now offer weekly training sessions that are divided into two levels – Beginners and Advanced. Our training on BIM standards includes an overview of BIM Protocols, Government mandate, BIM collaboration tools, Numbering Convention and Suitability Codes that are in compliance with BS1192 and PAS1192. Our Common Data Environment (CDE) training includes a detailed demonstration of the use of all functions of the CDE for better information management. We demonstrate the use of additional functions for specific departments such as sharing information from the CDE to external consultants and the supply chain. I was responsible for developing the training programme which is now delivered by our BIM Coordinator – a BRE BIM-accredited professional. We maintain a training matrix to track hours and keep a record of all staff who have completed the programme. We also provide specialist software training. Having a Bachelor’s Degree in Manufacturing Management, what is your opinion on Lean and its use in both manufacturing and construction? Lean has been successfully implemented and used across the manufacturing sector for a number of decades. However, the construction industry is lagging behind in its adoption. In our industry, we can clearly see the tangible benefits, although R&D and the implementation of innovative new processes in construction are traditionally much slower to implement than in manufacturing. That said, with the current focus on offsite manufacturing, momentum is beginning to build. The UK housing crisis, for example, and the recent reports from Farmer and the UK Government, highlight there is a new drive for offsite and Modern Methods of Construction (MMC) as a means of significantly increasing productivity to help bridge the huge gap between supply and demand of UK housing stock. As offsite manufacturing becomes even more widely accepted as a viable alternative to site-based construction, Lean will become a key part of how offsite solutions are delivered, taking learning and experience from other manufacturing sectors that have developed their processes over many years. 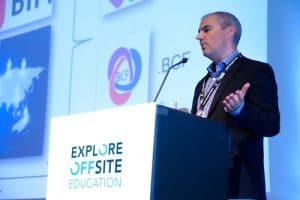 How will the Irish Construction Industry change in the next few years with BIM, Lean Construction, and offsite construction? The construction sector in Ireland can only be enhanced with the adoption of BIM and Lean Construction processes. Offsite construction offers significantly faster building solutions and a wide range of other benefits. As a result, demand for offsite will continue to rise in Ireland. How will BIM and Digital Construction benefit offsite construction? BIM and Digital Construction offer clear benefits for offsite construction. The new technologies facilitate production and encourage the earlier engagement of our customers and building users. The quality of the finished product is also enhanced. Rapid prototyping methods will be adopted in the near future allowing even faster project delivery and more options for design and aesthetics as well as robustness. Please tell us about your career goals in BIM and Digital Construction? For me, it is about embracing the technological change that is occurring, and ensuring that I am abreast of the very latest digital solutions that are available to deliver our offsite manufactured solutions. My career path has changed from design management for the last 20 years to leading Innovation at McAvoy which is tremendously exciting. I am looking forward to growing the culture of innovation across the business. My goal is to implement improved products and processes such as BIM, Augmented Reality and Virtual Reality and to ensure we are in the best possible position to embrace the shift towards digital construction. Have you got predictions for more construction industry innovations in the next few years? The integration of Augmented Reality within the design and construction workflow will significantly change how we deliver our buildings. When we can use commercially viable wearable technology to overlay both 2D and 3D images onto the world around us, this will remove the need for producing 2D paper drawings. It is then feasible to construct directly from the data rich BIM models we are producing. We currently create 3D content that is then translated back to 2D paper drawings to construct our buildings. This is not efficient and can lead to data loss and user interpretation issues. Being able to harness and use the 3D content directly would cut out this time consuming and inefficient process and radically change and improve efficiency. We have already seen some concept work in this area and as the wearable Augmented Reality hardware advances, so too will the reality of actually using this within our construction workflow. Is there any advice you would like to give to a contractor starting their BIM Journey? Allow time for implementation and don’t be prepared to rush the process. Respect the learning curve and obtain training and professional advice where needed. There are many organisations and BIM professionals who can help.